You are here: Home / Travel Talk / Underwater Experience: You’ll Love It! The underwater world is so amazing. 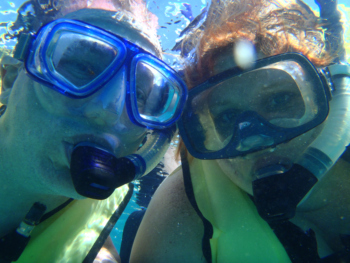 One of our favorite things to do is snorkel. It’s not only relaxing but it’s just spectacular. We have snorkeled in Jamaica, St. Thomas and St. John. We are really looking forward to snorkeling in Roatan too. Speaking of snorkeling, we have our own gear except for fins. They are just too heavy to pack in the bags and I pack enough they probably wouldn’t even fit anyway. I think after this year we’ll have to replace our current gear. Kev has a prescription mask because he wears glasses and can’t see without them. Best investment ever. Like I have mentioned before we are going to be traveling with a family of 5. They have 3 kids who we will buy snorkel sets for because we want them all to experience the amazing world underwater especially in their home country. They will not ever forget this experience especially since everyone says Roatan has one of the most beautiful reefs in the Caribbean. There is an under water museum that Kev and I will be going to while in Roatan. It’s a guided tour where we’ll see replicas of artifacts but should still be fun. The museum is located in Sandy Bay, Roatan which is an area we are looking at staying. That or West Bay Beach. Kev and I might snorkel with dolphins too. Anthony’s Key Resort has a Dolphin Snorkel & Swim program that looks like fun. Night time snorkeling is one of our favorite things to do in Jamaica. If you have never done that, we highly recommend it. If you are going to spend any amount of time exploring underwater, you will most definitely want an underwater camera . And don’t forget the camera float so you don’t lose your camera down there. Be sure to read the specs on each to get the best underwater camera that fits your personal style! We have an older version of the Olympus Tough . It would be nice to upgrade but that will probably have to wait as well. Jules Undersea Lodge – There are only two rooms and you need to become SCUBA certified to experience this. Believe it or not there are other underwater hotels in the world and some in the planning stages. Cool! 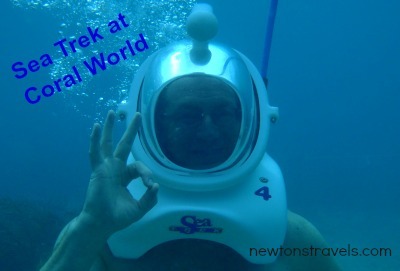 We did the Sea Trek at Coral World in St. Thomas, VI and it was a lot of fun! I was nervous at first but it went really well. Have you had any fun underwater adventures? Do you dive or snorkel? How did you like the Seatrek? My husband and I both dive, so we found it really constricting and hard to move around in. Our girls however, loved it because they loved the walking sensation and the slower pace than diving. We spend a better part of our winters in Belize and the snorkeling and diving is fantastic. Thanks for the camera tips! We enjoyed the Sea Trek, it was a neat experience. We have given up on the prospect of diving. Kev has some sinus and spine issues that we are just not sure it’s going to ever happen. Belize sounds awesome, we want to go. Under water hotels….that gives me the creeps. 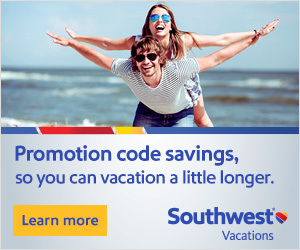 I would not be able to do that. Not a swimmer and haven’t snorkeled so comfort level there what so ever. Nothing is ever truly tight enough that water doesn’t seep in….the idea of being under water truly creeps me out. I’ve seen some cool pictures people have taken under water, but have no desire to do on my own. Don’t want to be in the water with ….stuff swimming around me. I’m the one who would be able to breath right in the mask or whatever…. Family of 5 with 3 kids…hope that goes well. Yep being under water is definitely not for everyone. I can’t believe the a to z challenge is almost over. I had a fleeting thought that I would like to try it again in May. I love to snorkel, but would never consider getting dive certified…I’m too claustrophobic! Do you think the whole mask thing would bother me. I’d like to try that! I am looking forward to snorkeling in Roatan with you guys and the girls! I love the pictures! Such a cool experience!